If you are looking into ways to revamp your home and you settled on remodeling your bathroom, then this is the guide for you. 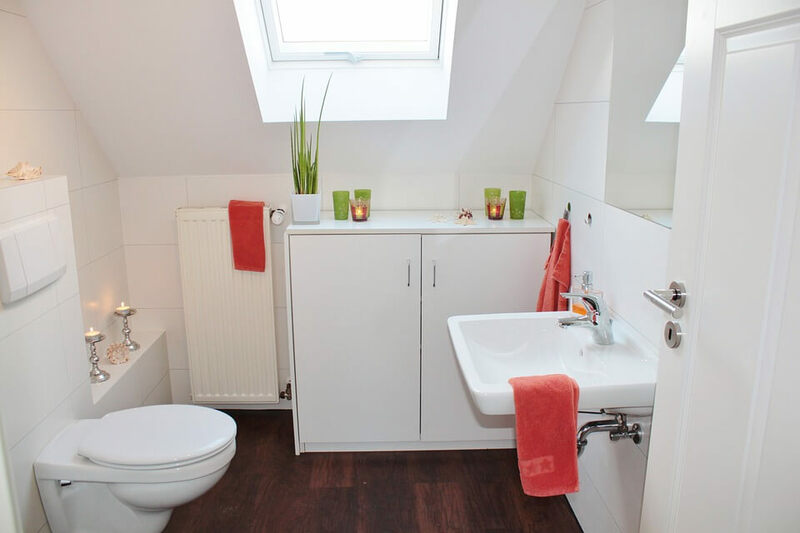 A bathroom is definitely one of the most important areas of your home. It can be a place where you spend a lot of time relaxing from hectic daily life. Some even go to the extreme to call a bathroom their happy place. Whatever the case may be, remodeling a bathroom all by yourself can take a lot of time and effort. Before starting anything, it is best to do some research and consider all the things that may go wrong. Because if things can go wrong, they definitely will. To avoid errors and messing up the plumbing, it is a good idea to take a peek at these useful pointers. Whether you are dealing with a tub, changing out old tile, or fixing a leak; there will be a large amount of dust flying everywhere. As a matter of fact, dust cannot be avoided if you are planning to cut and remove certain bathroom features. A good idea would be to plan ahead and invest in a quality window fan. Such a fan can create backdraft and make sure to draw the dust-filled air and pump it outside. Another clever idea would be to cover all the floors that lead to the bathroom. This way, cleanup can be minimized! Also, do not forget to clean up your messy shoes. No one wants to make the other rooms in the house full of dirt. As soon as you start thinking about remodeling your bathroom, you are presented with two options. You can do all the work by yourself, or you can hire a trained expert who will do the job for you. It is important to decide wisely, because if you do not possess all the skills that are needed for the job then you might end up with more work than you anticipated. Even though you might have thought out plan and a detailed schedule, not everything will go smoothly. If you decide on doing everything alone, then be smart and double the time you think it will take to finish everything. It is recommended that you consider setting up a temporary bath in case things go terribly wrong. If you have a back-up bathroom where you can at least shower and brush your teeth you can avoid the embarrassing talk with your neighbor about asking for a shower at their place. Also, try not to have guests over until all the work is done and the project is fully completed. A lot of the times when remodeling, people neglect the importance of making sure that the walls are durable against moisture and heat. If you are considering spicing things up by painting the tiles, then opt for gloss or semi-gloss paint. Another option would be to go for vinyl wallpaper, which is ever so popular because of its water-repelling qualities. Nevertheless, one common issue that may arise when dealing with the ceiling is the flaking of the paint. To prevent paint coming off, it is recommended that the ceiling is fully assessed by a skilled professional. Frequently, a leaky roof might be the main cause of too much moisture accumulating on the ceiling’s surface. If this is the situation, the wise decision would be to consult experts such as ones at Leadwork roof restoration. This way you will be certain that the paint will last a long time. Frequently, when remodeling, people tend to go overboard. To avoid overspending, take an objective look at the budget. Think about where you can save up and what exactly is needed. A lot of the times people tend to spend too much on things that do not need to be there in the first place. By asking yourself questions such as „Will I be living here in ten, fifteen years?“ and „Do we need this extra installment?“ you will find ways to differentiate between what is essential and what is just a waste of hard earned money. In addition, do not rush with shopping for supplies. Sometimes you may find cheaper items in different local stores. Also, you can find inspiration for designs in magazines and on various home design websites. Remember to be smart when spending money! In conclusion, there are a lot of things to expect when you are considering remodeling the bathroom. Most importantly, if you make a plan, gather all materials and stay mindful of the overall budget, things will certainly go well.